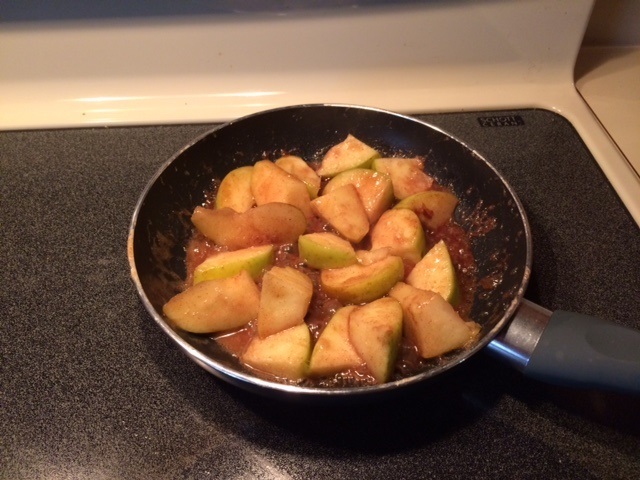 Why do recipes call for peeling apples before frying them? Seems like a terrible waste of time as well as wasting a good part of an apple. I whipped these up for lunch yesterday, and it would have taken twice as long if I'd taken time to peel. Didn't really follow a recipe here. Dip of butter, dash of sugar, sprinkle of cinnamon. I wonder how apples would taste if water was substituted for butter, if I skipped the sugar, and just added a little cinnamon. May have to experiment there. It would certainly be a more trail prep friendly dish.